Documentation and SupportReleases Okra Release Notes 2016-09-24Hive Connector Now Available. Use this new Connector to pull data from a Hive server. First we need to create a new Hive Connection Wizard. Beacon: Choose which beacon this connector will be running on. 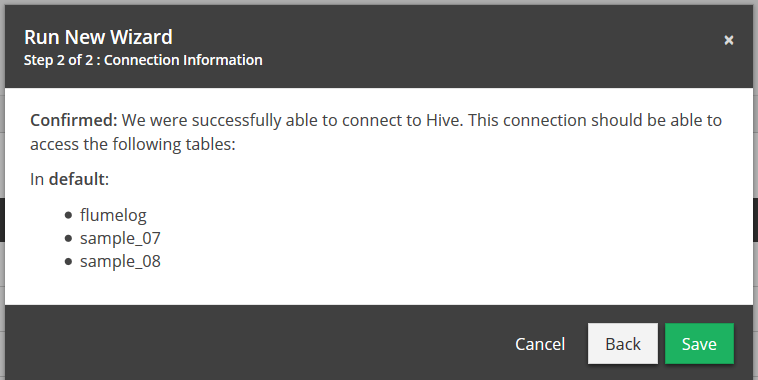 Host: Insert the host name of the Hive server you will be connecting to. Port: Insert which port the connector should be using. User Name: Enter your user name for the Hive DB. 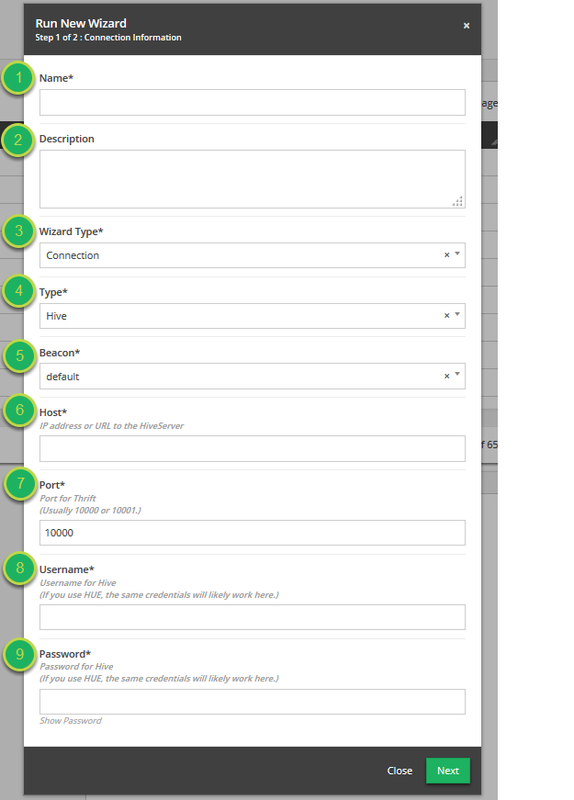 Password: Enter your password for the Hive DB. 4. You will receive the confirmation modal showing the files contained withing the Hive server. 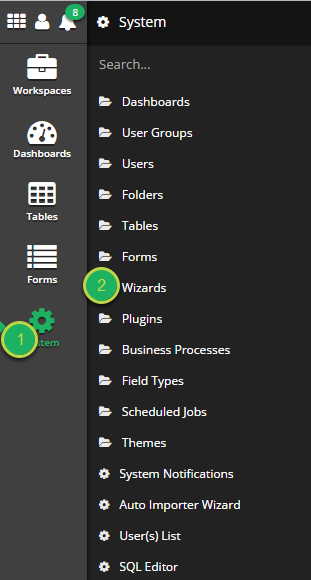 Prev: User list now easily accessible via the system menu.